Helpful Tools for your Coupon Campaigns. Below you will find what you need to prepare, details about barcodes and redemption report specifications. Below is helpful information for creating your first coupon, about barcode specifications, and reporting requirements. If you have further questions, the Business FAQ's might be helpful, or feel free to contact us. Offer - The discount you would like to offer. Description - Further description about your offer, such as purchase requirements. Example (if your offer was $1.50 off): Save $1.50 when you buy any one (1) (name of brand) product. Terms - Processing instruction for retailers, clearinghouse address, handling fee paid to retailer, etc. Expiration date - How long your coupon is valid for. Printing limit - How many times your coupon can be printed. GS1 Databar Expanded Stacked Barcode - The GS1 databar numeric string, digits only. See barcode specifications below. UPC-A Barcode (Optional) - The UPC-A barcode as a numeric string, digits only. See barcode specifications below. CommonKindness coupons require the GS1 databar barcode to be supplied as a compiled data string (numerical). You are responsible for ensuring that the barcode data string is generated correctly to accommodate 7 digits that CommonKindness automatically appends in data field 5 (this allows us to track which non-profit we provide funds to). When you order/create your GS1 barcode, you must have 7 zeros programmed into data field 5. CommonKindness will then automatically replace the 7 zeros in data field 5 with a 7 digit Coupon Tracker code when consumers print the coupon. CommonKindness coupons do not require the UPC-A barcode, but if necessary, please supply as a numeric string. Below are examples of rendered barcodes (UPC-A and GS1), as they would appear on a coupon. Note that UPC-A Barcodes that are for coupons generally all start with a “5" (sometimes with a "9"), see example below on the left. GS1 Databar Expanded Stacked Barcodes, on the other hand start with 8110, but as you can see below, only some digits are visible, the remaining data is hidden in the barcode itself. For every coupon posted on the CommonKindness website or featured in a CommonKindness print ad, a redemption report needs to be submitted. Please ensure that these reporting requirements are setup with your clearing house by providing them with the above specifications. 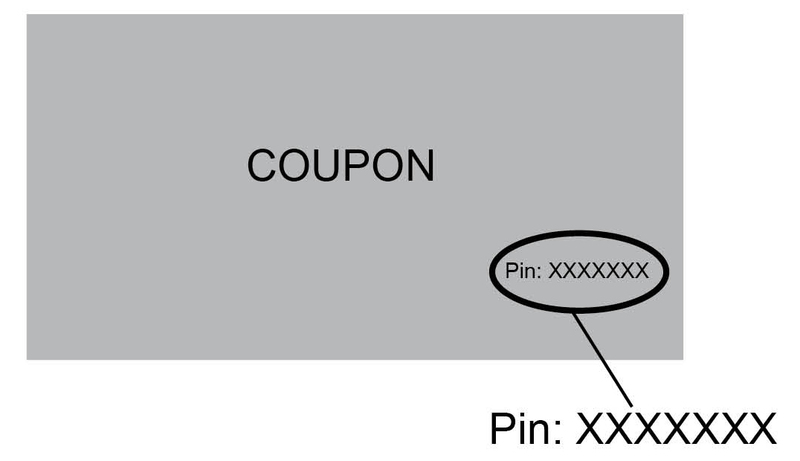 The "Coupon Tracker" code or Pin Code of each redeemed coupon (unique 7 digit code included on each coupon to identify and track the non-profit selection made by the consumer, so CommonKindness can provide funds to their favorite non-profit).